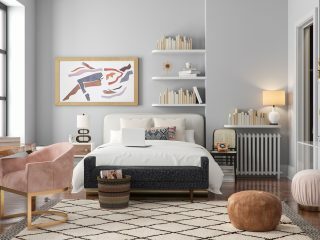 Whether you’re planning to make this your home for the next couple of your years, or you’ve signed a six-month lease, making your rental feel likes “yours” should be on top of your list once you’ve moved in. 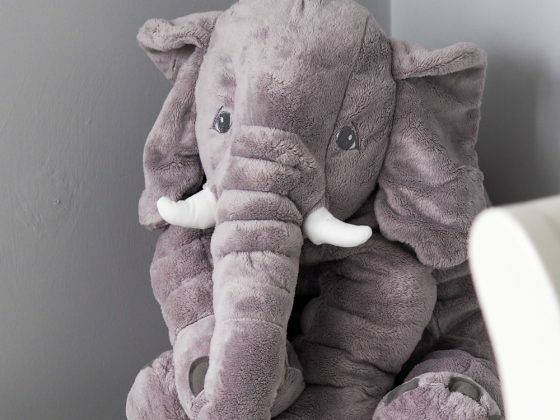 How to decorate your rental without painting is something I’m asked often so today I wanted to share 10 tips and ideas you can use to not only add personality to a room, but keep your landlord happy too. Wall hangings are the perfect way to add a pop of colour to a room without having to get the paint brushes out. 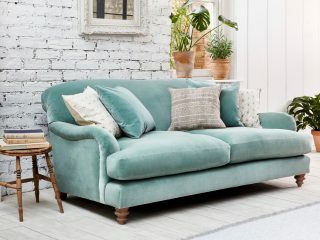 It’s also a great way to capture this year’s interior trend for the Balearic Isles – think bohemian, vivid pastel tones and tonnes of texture, all set against a bright white. 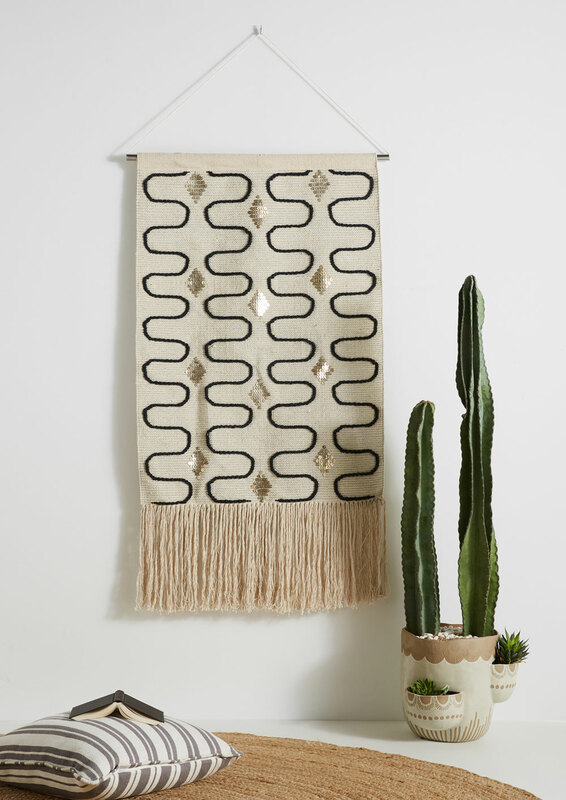 Anthropologie has a gorgeous selection of Californian inspired wall hangings, take a look right here. Create a gallery wall of your favourite artwork, posters and prints by using something like Command Strips, which you can pick up easily at your local DIY store. They’re fairly easy to remove and are the perfect alternative to hammering nails into the wall. Here’s a tip – sign up for the newsletter of Desenio because there’s not a week that goes by without me being sent a discount code to use for their prints and frames. It’s only been in the last year or so where I’ve discovered removable wallpaper. 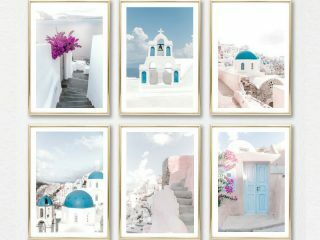 It’s incredibly easy to hang and remove and makes the perfect addition to an office or bedroom wall. 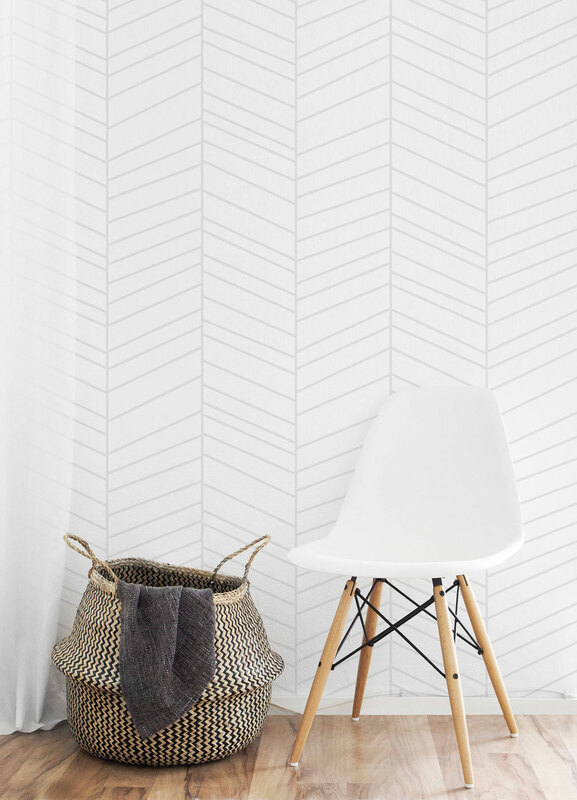 Although Graham & Brown offer a great choice of removable wallpaper, I also really like the options from Etsy – just check out the huge selection. This idea kills two birds with one stone, making storage a feature in your home. 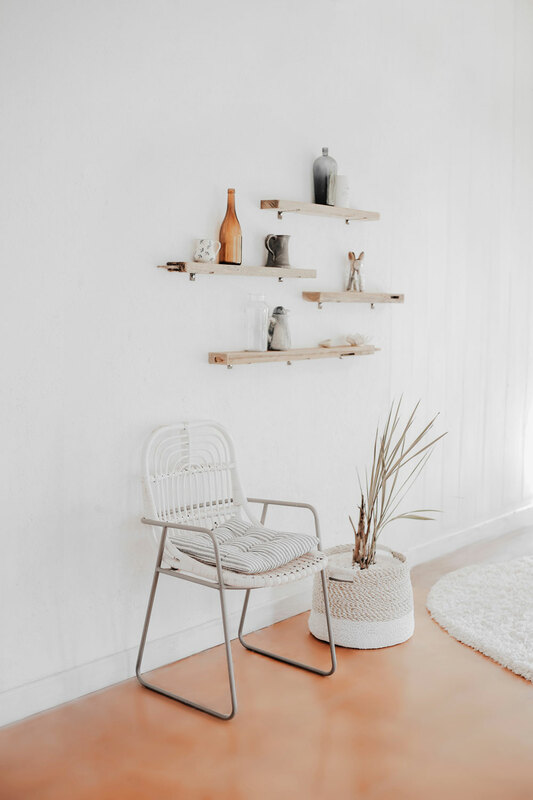 Utilising a shelving unit along one wall can not only offer a great way to store books, decorative items and plants, but it also creates a statement without making any permanent changes. 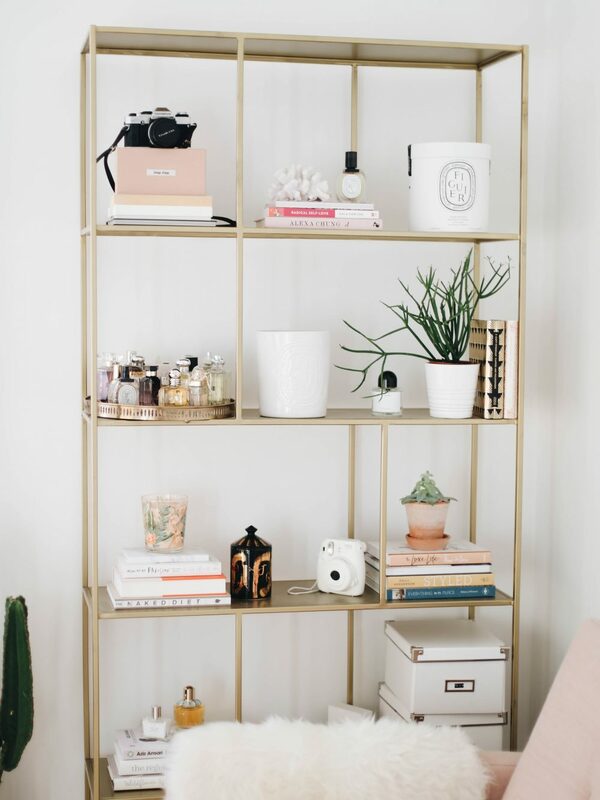 Plus, you get to style pretty shelves like the example here from British lifestyle blogger, Kate La Vie. 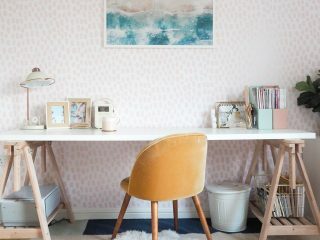 You just have to type in Washi tape DIY on Pinterest and you’ll discover just how many amazing things you can do with this colourful piece of stationery. 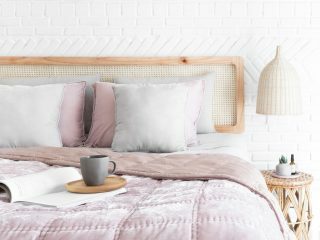 From hanging pictures up in your office to creating a cool feature wall in your bedroom, washi tape is a great idea for those struggling to add personality in a rental home. 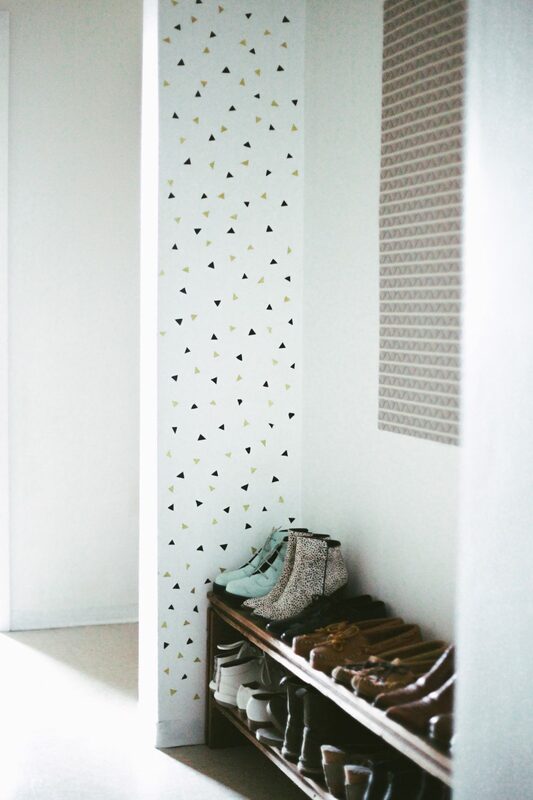 Check out this washi tape DIY over on Treasures & Travel for a really cool way of adding print to a hallway. OK, so your landlord might not let you paint, but perhaps they’ll let you hang a couple of shelves if you agree to fill the holes once you’ve left (here’s an easy tutorial on filling holes in your walls). You can showcase artwork, line up books or add plants for a burst of colour. By leaning a large mirror against the wall, you’re not only covering unloved wall space, but you’re visually maximising the space by reflecting the light. Plus, hello, they’re the perfect #ootd addition for your Insta grid. 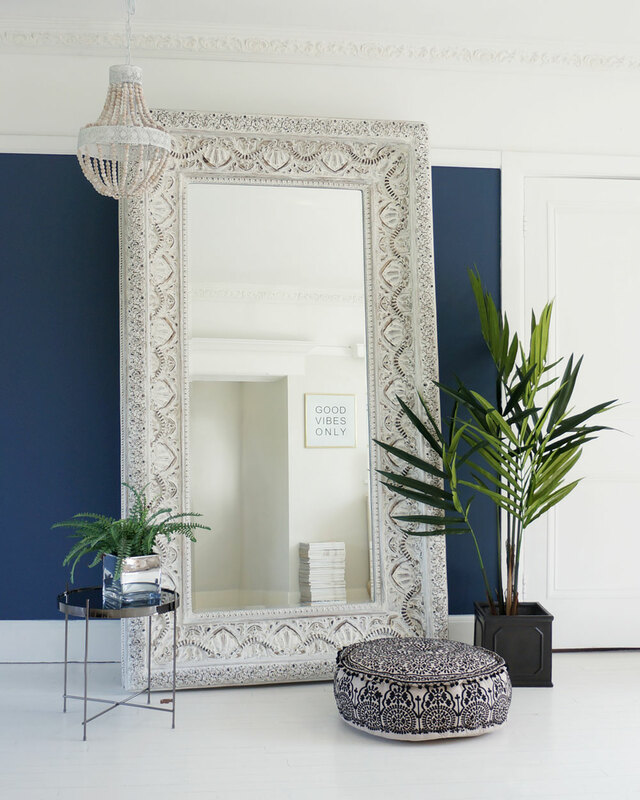 This Ibiza Free Standing Floor Mirror from French Bedroom Company is perfect. A clever idea is to buy an adjustable curtain rail and fix it between two walls. 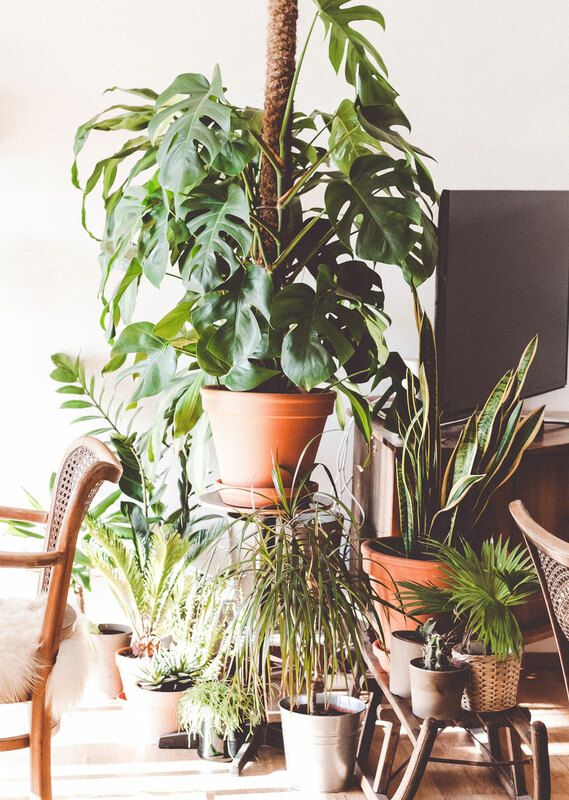 Once that’s securely in place, hang light faux plants from macramé planters along it. The only reason I say faux plants is because real ones could be a little too heavy for the curtain rail. 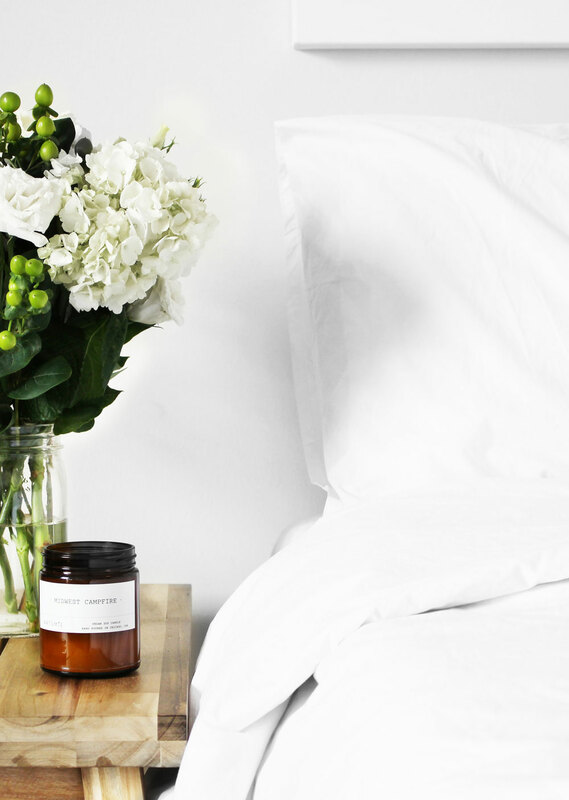 But how amazing would that look, just a top layer of blooms in your living room? 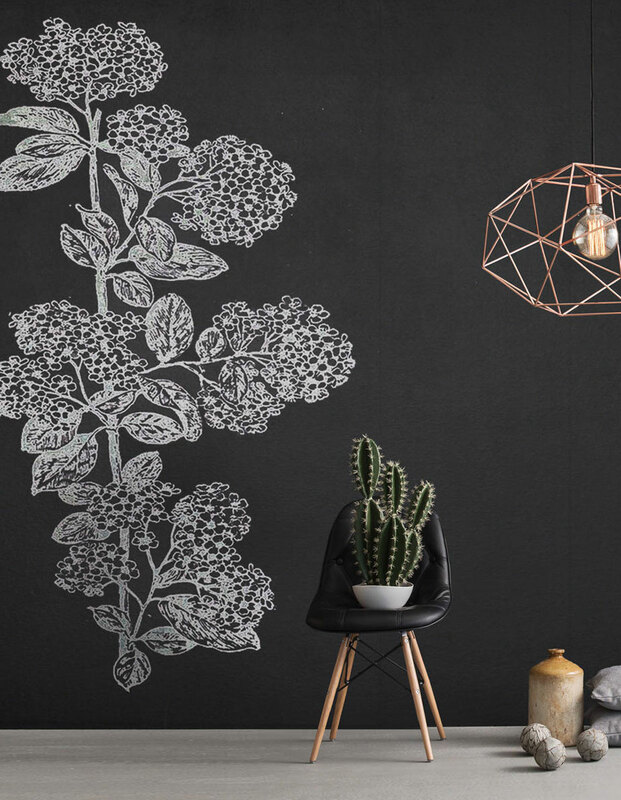 This is the perfect addition to your kitchen or even a children’s bedroom – removable chalk wallpaper. 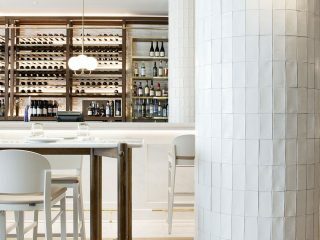 Much like the standard removable wallpaper, this can be taken down with a residue-free removal and is great for writing shopping lists, doodling while your pizza’s cooking or making notes for someone to remember to take the bin out. 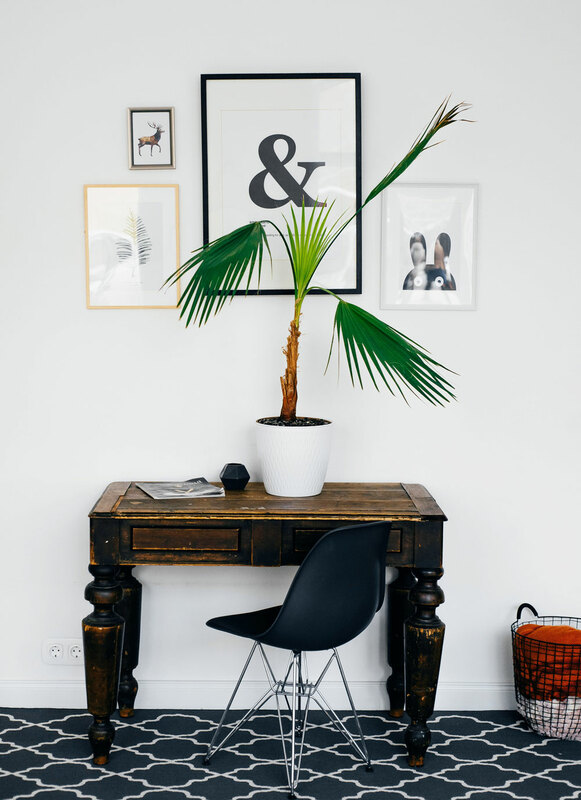 The final option when asking how to decorate your rental without painting to just embrace the white walls and create a room around this. 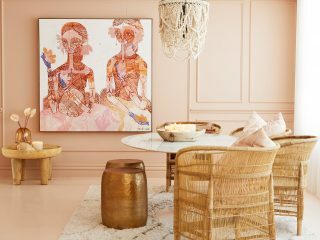 There are so many ways you can design a super stylish rental with plain light walls, adding colour through statement furniture and soft furnishing, or going for a neutral scheme with creams, taupes, blush pinks, natural woods, golds and brass. 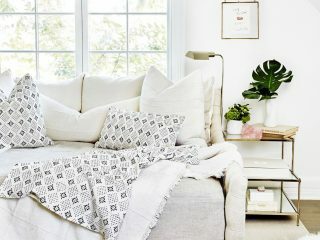 Check out my White Decor Pinterest Board for some inspiration. If you can change it, except it. Do you currently rent? If so, what would be your number one tip if someone asked you how to decorate your rental without painting? These are some lovely ideas! I need to give them a try..